Mutant Beat Dance has returned with their debut self-titled 25 track album. The record image booklet has been in development since 2015 with over 200 minutes running time and is released in various formats. Huge!The debut album from renegade trio Mutant Beat Dance (Traxx aka Melvin Oliphant, Beau Wanzer and Steve Summers) takes the wild and free sound of Chicagos Music Box era into the 21st Century. Over twenty-five tracks the album mines an oft cited but rarely understood ground at the intersection of Post-Punk, Minimal Wave, Industrial, Disco Dub, EBM and proto-House / early-House. 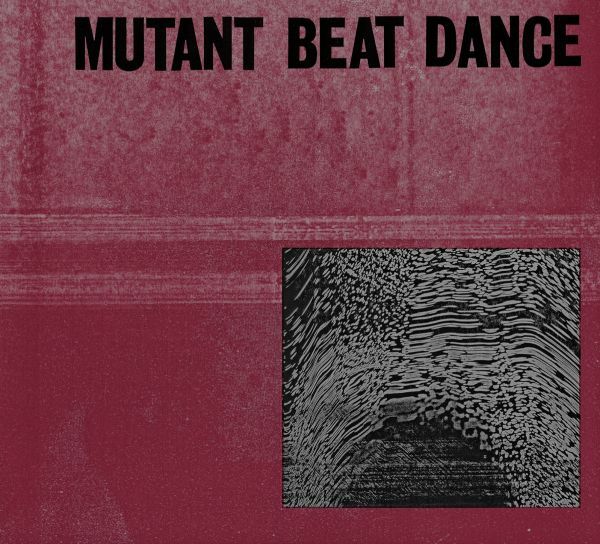 "Mutant Beat Dance " is an epic journey into a classic American ideology that had its apex in Chicago.This aesthetic has already proven influential on many artists across the globe. Least of which is the Grammy winning LCD Soundsystem whose members Tyler Pope and Patrick Mahoney back Melvin on vocals here on the Martin Hannett and Howard Devoto inspired "Feed The Enemy" - a cut that shows how wide and deep this epic record goes. Another LCD member Gavin Rayna Russom also provides vocals on the later cut "Geometrical Disease." That these collaborations are included here should come as no surprise to anyone who caught the recent LCD tour - Traxx was the opening DJ on that nationwide tour.Mutant Beat Dance was originally a duo made up of Traxx, and molecular biologist, Chicagoan Beau Wanzer. Traxx and Beau have been working on this concept in various forms throughout the last decade on solo and duo releases for Discos Capablanca, Rong Music, Hour House Is Your Rush Records, L.I.E.S, Light Sounds Dark, Rush Hour, Jealous God, Beaus own untitled label and Traxxs own Nation label. After this rack full of releases the duo began to refine their concept from 2015 on into its most thoroughly developed state - the result is this epic 25 track, 200 minute long debut M.B.D album for Rush Hour.Given the scope of the material for the project it became logical and necessary to expand the unit to include its newest member Brooklyn based Steve Summers known for his releases on Clone Jack For Daze, Confused House and others. Together this hard-working trio has completed an album with an enormous diversity of song styles unlike anything they have ever done before. Unique in its musical range and content from obscure electronics with subliminal messages to funk laden machine grooves, industrial soundscapes, Detroit dirge, cryptic ankle bitter anthems and beyond this is a genre-bending challenging monster of an album that may scare you at first but push forward and deep rewards lie within.